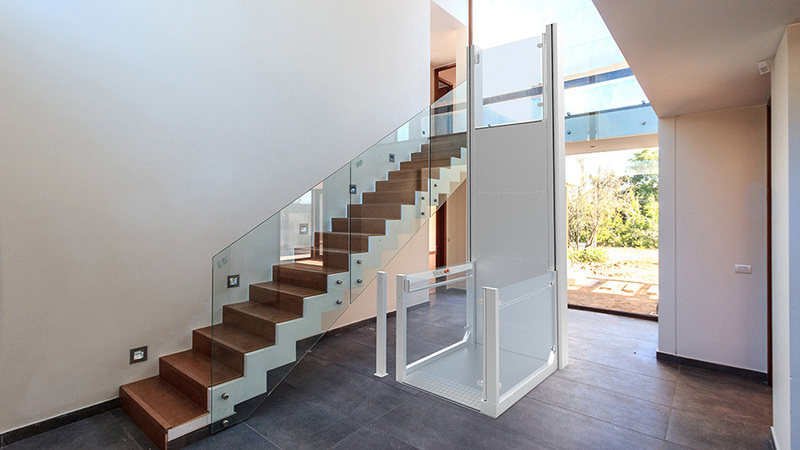 Modern clean lines with a travel height of up to 2000mm – that’s one of the best features of the RB150 Wheelchair Lift by Direct Lifts Australia. The RB150 is specifically designed for applications requiring little or no alterations to existing buildings. The open type cabin design offers an aesthetically pleasing solution with brushed stainless steel accenting the modern finish. Compliant as an AS1735.15 Limited Mobility Lift – Hold to Run Operation Lift the RB150 is the obvious choice for a commercial installation requiring a wheelchair lift between 500mm to 2000mm. Durable and reliable the RB150 wheelchair lift is able to be easily installed without the need for a pit/set down – a great solution where excavation is not possible as well as effective cost wise.